The relations between Russia and the United States have not been so bad in a long time. Arguably, they were warmer in the 1980s. Undoubtedly the tense situation will not be improved by Russia’s increased military activity. The involvement of Moscow in the Syrian conflict, the deployment of Iskander missiles in Kaliningrad, the announced restoration of military bases in Cuba and Vietnam and the blockade of French resolution on Syria at the UN Security Council are only a few examples of the Kremlin recent foreign endeavours. It would be worthwhile to spare a thought for the Cold War-like state of relations between East and West, as it is difficult to avoid the reflection that the world has somewhat gone back about four decades. Let us start from what is closest to home – namely the Kaliningrad region. According to Estonian journalists, Iskander missile units were transported by Russia on board of civil aircraft “Ambala” from Ust-Luga port to Baltiysk (located in the Kaliningrad oblast). According to the Russian side this transport was used solely for training purposes. Moreover, as explained by Igor Konaszenkov, the spokesman of the Ministry of Defense of the Russian Federation, the transportation was deliberately held during the day and on board of civilian ship designed to transport cars and railway wagons, so that it can be easily spotted by an American satellite – which is already somehow provocative. Certainly the presence of Russian missiles just behind the north Polish border is the reaction to the NATO decision made in July in Warsaw to strengthen the eastern flank of the alliance. It is worth noting that the Iskander-M missiles can carry nuclear warheads within a radius of 700 km, which de facto means that not only Warsaw is endangered but also Berlin, which was one of the first ones to push for imposing additional sanctions on Russia due to its military involvement in the Syrian conflict. The question of whether Russia has the ambition to take control over the Baltic Sea basin by the presence of the Iskander missiles in Kaliningrad, has been raised by the press. However, the situation looks very different than in the Black Sea, because in this part of Europe any attempt on the part of Moscow to dominate the basin would meet an immediate reaction of NATO. Vladimir Putin is fully aware of that and he is not yet ready for such a confrontation. Toomas Hendrik Ilves, the President of Estonia, has called the Russian decision to allocate the rockets an overt provocation and tensions escalation. However, it is worth recalling that information on the presence of Russian missiles north of the Polish border has been repeated several times in the recent years, most often in 2013 and 2015. A little further, in Syria, the situation seems to be much more complicated with a regular war and the occupation of the city of Aleppo (while Iraq continues to storm the local troops in Mosul – the last bastion of the Islamic State in Iraq, located 550 km from Aleppo). In order to address the situation, France has submitted a draft resolution during the last meeting of the UN Security Council calling for an immediate cessation of bombing of Aleppo. It was aimed solely at stopping the bloodshed of civilians. Unfortunately, Russia has used its right to veto, arguing that it was an attempt to push for an “unconstitutional change of power in Syria using terrorists.” During the five-year conflict in Syria, Russia has blocked five resolutions addressing the tense situation in the country. Moreover, the Syrian army with the military support of Russia has been bombing the city of Aleppo, inhabited by 250,000 people, since September 22nd 2016. According to the Syrian Observatory for Human Rights, the conflict in the country has already claimed over 300,000 lives. During the same meeting at which Russia has blocked the French resolution, the UN Secretary General, Ban Ki-Moon, clearly described the situation in Aleppo and bombing of civilian hospitals as slaughterhouses, which left no illusion that the most important person in the United Nations openly criticised Moscow’s actions. The relations between Moscow and Washington have been so strained that John Kerry, the US Secretary of State, expressed the opinion that the contacts between the White House and the Kremlin may be completely frozen over the Syrian issue if Bashar al-Assad`s regime supported by Russia does not stop the occupation of Aleppo. In response, Russia’s foreign minister – Sergey Lavrov, criticized the US for supporting “terrorists” fighting against the Syrian army. The word exchange between the foreign ministers has become increasingly fierce. Lavrov has warned recently that Russia will defend its interests in Syria if the US begins air raids, which consequently would mean an open conflict between Moscow and Washington. Vladimir Putin too spares no words of criticism of Barack Obama’s administration and the president himself, while at the same time expressing hope for improved relations after Hilary Clinton or Donald Trump take over the office (it is well known that the position of the latter on foreign policy is much closer to the Kremlin`s view). There is no shortage of critical voices against Russia over the Syrian issue in Europe, too. Germany, France and the United Kingdom have been seriously considering imposing additional sanctions on Russia. Chancellor Angela Merkel, whose relationship with Vladimir Putin is cool to say the least, openly appealed to the authorities in Moscow to stop the escalation of the conflict. She has been echoed by the government spokesman, Steffen Seibert, who also appealed to Iran, one of the few allies of Bashar al-Assad, and encouraged Teheran’s positive impact on Syria. The sanctions will not stop the ambitions of Vladimir Putin for sure, however, they may induce him to reflect on whether it is worthwhile to go to war with the US and Europe simultaneously. The idea of re-allocation of Russian military bases to Cuba and Vietnam have been perceived as exotic. While it may be only a reminiscence of the Cold War, it indicates a clear collision course chosen by Moscow. This situation puts all international organisations and powerful countries in a different role than they were in two or three years ago. Today the main task is to maintain relative stability in the world, which naturally pushes back other global goals, such as sustainable development. The greatest task the new host of the White House will face, will be the normalisation of relations with Russia and the return to discussions about the economy, and not armaments. The last two weeks have seen the worsening of the already very strained US-Russia relations. Russia has just terminated an agreement on plutonium destruction signed between Moscow and Washington in 2000. The agreement was broken up by the Kremlin on October 3rd 2016 under the pretext of “hostile US actions towards the Russian Federation.” Moscow has criticised Washington for not fulfilling the provisions of this agreement and maintaining the “return potential of the plutonium” which can be again disposed for military purposes. It is no secret that breach of contract is a revenge for greater involvement of the US in Central and Eastern Europe, particularly in Poland. Termination of the agreement has been reinforced by a unilateral decision of Vladimir Putin to increase the military budget to $10 billion. 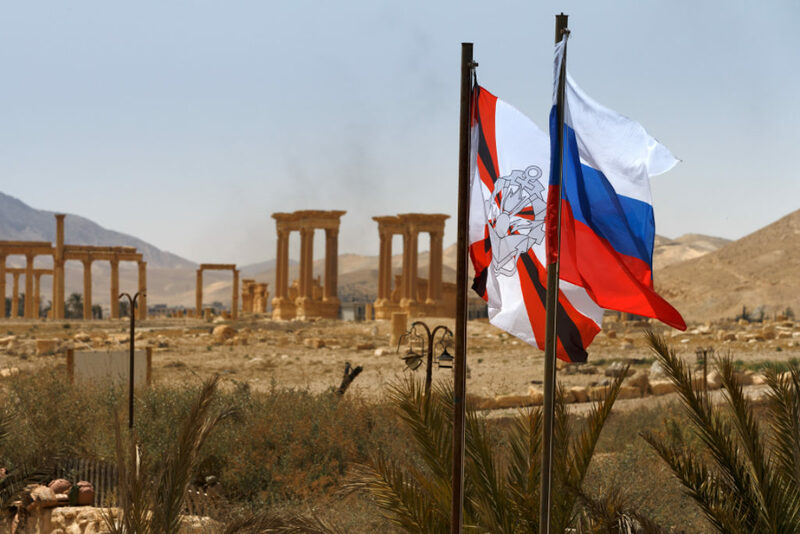 The deteriorating relationship between the Kremlin and the White House, and the West in general, resulted in thwarting the chance for a joint fight against the Islamic State. Neither John Kerry nor Boris Johnson, United Kingdom’s new foreign minister, who called Russia a state outlaw, does not intend to cooperate with Moscow in the Middle East. Russia’s position on the results of the investigation into the downing of Boeing 777 over Ukraine added fuel to the fire. Although the study indicated clearly and indisputably that a BUK missile caused the crash of the Dutch aircraft, the Kremlin continues denying that Russia had anything to do with it. At the same time, it has been blaming Ukraine for not closing the airspace over the area of armed conflict. Russia stands firmly on the position that Ukraine is still making decisions about itself and the presence of Russian troops in the Donbas is just a phobia and the invention of Western media. Watching the current global political and economic maelstrom from the perspective of Russia’s engagement and listening to the language used by the Kremlin, it is hard to resist the impression that the old Stalinist propaganda school has been revived. It would be impossible to wage a war on all fronts. Pragmatism requires finding a political and economic ally in case the threat of Western sanctions becomes a reality. In this context, the eyes of the authorities in the Kremlin have naturally turned toward Beijing. The relations between Russia and China are neither simple nor predictable, but for sure very deeply rooted in the best interest of both countries. Fu Ying, the former Chinese Ambassador to the UK, shares the view and argues that China and Russia have a strong ideological and economic relationship. According to her, since 1992 when Russia was deeply disappointed with the West’s attitude towards a reviving Russian Federation, the Kremlin’s attention began to focus on rebuilding and strengthening relations with Beijing. The best evidence of this is the number of Xi Jinping’s visits to Moscow since 2013, when he was elected a president. He visited Russia five times while Vladimir Putin has reciprocated with three visits to Beijing. To visualise what Moscow’s perception of its relations with Washington and Beijing is, we shall refer to the rapidly growing economic potential of China. At the time of the US invasion of Iraq in 2003, China’s GDP accounted for approximately one-eighth of the production generated in the US, while less than a decade later, the relation has changed four times in favour of China. 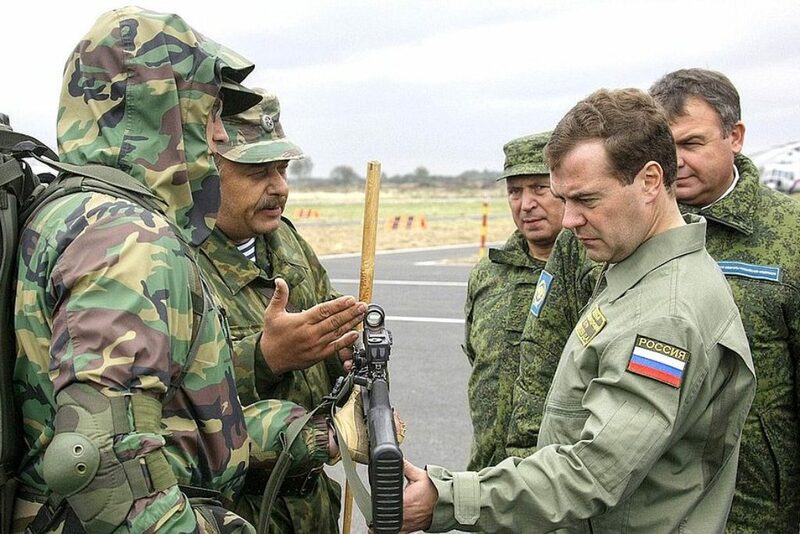 The tense situation in Syria, blunt demonstration of Russian military presence in Central and Eastern Europe and the almost frozen relations with the United States do not allow to think of Russia as one of the pillars of security in Europe and the world. International organisations should try to minimise conflicts and not to escalate them, which requires a very strong and determined position of the United States, the European Union and China. Grzegorz Kaliszuk is an economic analyst with the Warsaw School of Economics. He is the author of over 100 articles devoted to Russia, CIS countries and energy issues.